We were selected to help a UK supermarket chain to deliver its ambitious data transformation and remediation project. In order to prepare for GDPR compliance, the supermarket chain embarked on a mission to analyse, cleanse and remediate its data. Additional challenges surrounding data quality, control and cost further incentivised the project. Using AI.DATALIFT, which is hosted in Azure, we analysed the data 30 times faster than traditional on-premise solutions. It built a profile of data held which enabled the Supermarket to judge its business value and the risk it posed. 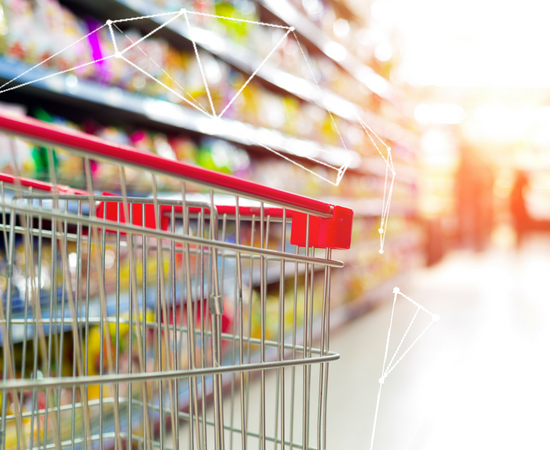 Our analysis showed that the supermarket had high volumes of data stored in various sources which resulted in significant amounts of DROT (Duplicate, Redundant, Obsolete and Trivial) data. It also revealed that data was at risk of being misfiled and inappropriately classified, placing the Supermarket at risk on non-compliance. Following the DROT analysis, AI.DATALIFT further enabled cost savings, in terms of data storage. This meant the Supermarket not only understood it’s data and could prepare for GDPR effectively but also benefited from reduced storage prices. 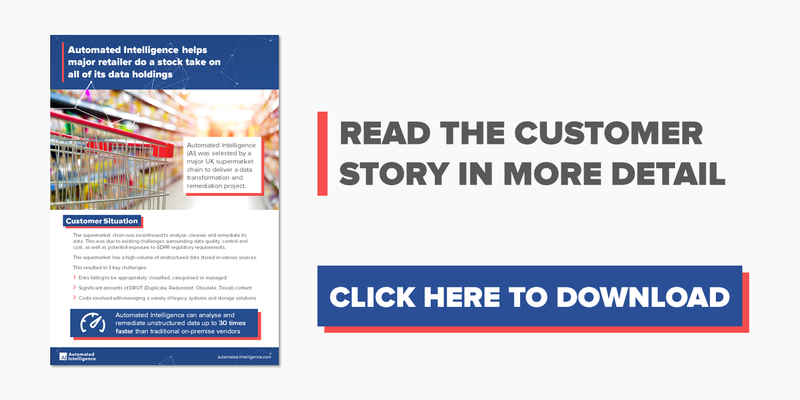 To find out more about the project and how we helped the Supermarket chain prepare for GDPR compliance, download the case study below.